Why women need more Calcium? Calcium is one of the macro elements that are most present in our body. It makes a structural part of bones and teeth, it makes part of the soft tissue and it is one of the most important mineral for maintaining metabolic and hormonal processes in the body. What are the main roles of calcium? • Calcium is very important for adolescents - girls in development, because in this period there is an intensive growth and lengthening of bones. Each calcium deficiency will lead to the emergence of soft and not ossified bones as well as the deformation of the bone apparatus. Young girls are in frequently need to apply rigorous diets which exclude calcium intake through milk and milk products. This is certainly a big mistake, because it leaves serious consequences that are manifested in old age of woman. • Calcium is very important for pregnant and lactating women for normal development of the skeletal apparatus of babies. All amount of calcium that mother enters through food is very important in building a skeletal system of the fetus. That's why pregnant women must not deprive intake of calcium from milk and dairy products. • Very important is the role of calcium in prevention of osteoporosis - a very long process of the bones that gradually develops and there is no complete cure, because bone mass is lost through years and the bones become more porous. Women in menopause are due to falling estrogen prone to osteoporosis. Therefore, consult with your doctor about the use of additional supplements based on calcium, vitamin D and vitamin B6. • Calcium is a mineral that plays a role in the regulation of blood pressure, metabolic processes, absorption of nutrients in the intestines and other. The presence of calcium is important for maintenance of normal muscle contraction, normal transmission of nerve impulses, as well as the maintenance of normal blood coagulation. • Today's studies linking calcium with the prevention of colon cancer. The exact mechanism of action is not known, but it is believed that calcium in the process of digestion affects the cells of the colon that is not subject to mutations. Which are daily doses of calcium? It is assumed that the daily dose for adult women is 1000-1200 mg, and for pregnant and lactating women that doses higher at 1500mg. In which foods have calcium? Foods rich in calcium are often of animal origin - milk, yoghurt, cheese, kefir, fish, and eggs. On other hand, plant foods rich in calcium are nuts, veggies, soy products, dried fruit, and sesame. 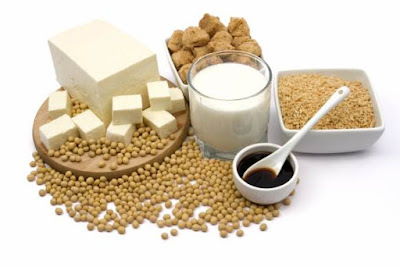 What factors affect the poor absorption of calcium? Alcohol, smoking, a lot of coffee, carbonated drinks have influence on reduced absorption of calcium. Better absorption of calcium from food affects the presence of vitamin D, which is why it is necessary to take foods rich in these nutrients.